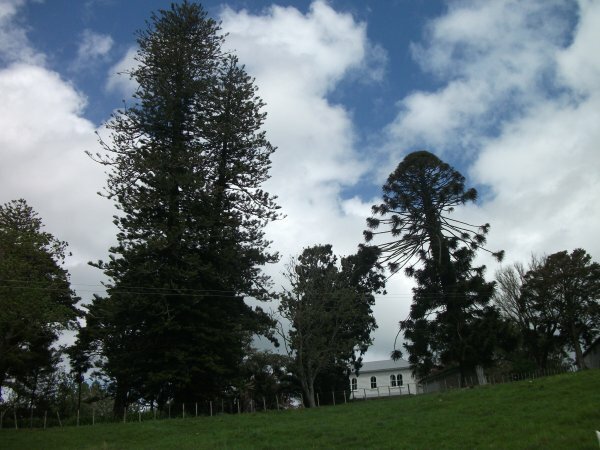 The Ngaheia homestead was built by Joseph Marsden Williams the youngest son of Henry Williams. The house, c1866, is built on a recorded archaeological site (Pa) and is a schedule 2 building on the Historic Places Trust register. 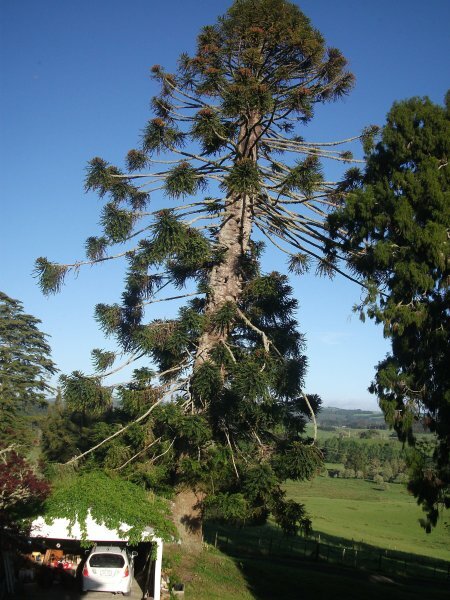 The garden has many original and old plantings and some believed to be planted by Joseph Williams, including an oak, this Bunya Bunya, an elm, pohutukawa and two large Norfolk Island pines. There are also several fine maple trees on the property (Stanley, H. 2011). 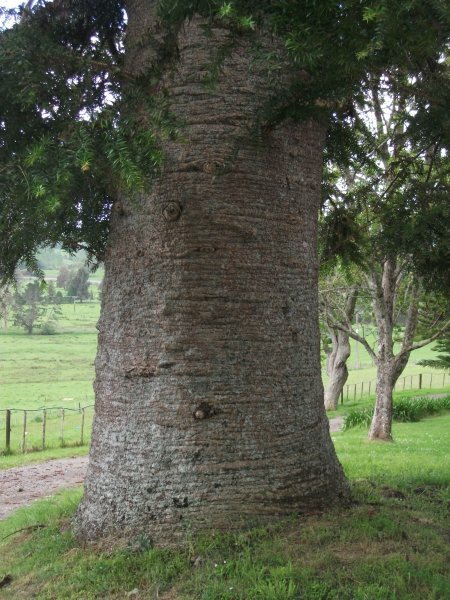 The tree appears to be in very good health (2011). There is a slight lean to one side. 26 Oct 2011 Stanley, H. J. In garden at front of homestead.